Chestfield Business Park is prominently situated on the A2990 Thanet Way on the outskirts of Whitstable. 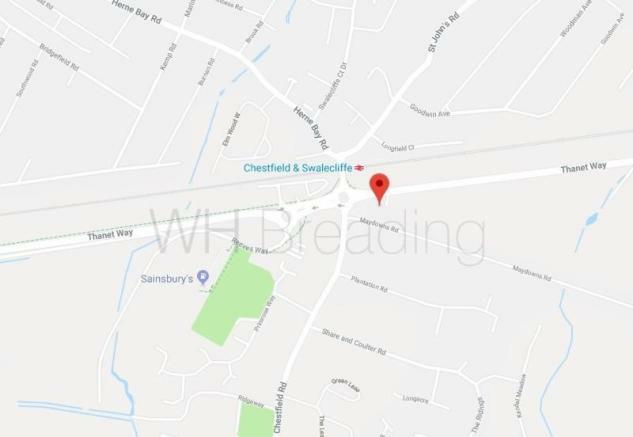 The estate is adjacent to Chestfield and Swalecliffe railway station and has good transport links to the M2/A2 which are approximately 8 miles to the west. Chestfield Business Park comprises of 6 modern industrial units and associated parking. The units are steel frame construction with silver micro-rib cladding and dark grey windows and doors. Each unit will feature an electrically operated roller shutter door, painted concrete ground floors, steel mezzanine floors plus a WC on the ground floor. Each unit will benefit from 3 phase power supplies with power and lighting and connected to mains water and drainage. Parking for up to 3 cars will be allocated to the front of each unit, plus an additional 18 visitor spaces. Units will be offered on a full repairing and insuring lease for a term to be agreed. Rent £12,000 per annum exclusive (plus VAT) and index linked. Each party to be responsible for their own legal costs associated with the transaction. Business rates to be assessed. Class of Usage currently B1. No motor trade usage other than storage. These particulars are produced for guidance only. Property reference WHBRE_000655. The information displayed about this property comprises a property advertisement. Rightmove.co.uk makes no warranty as to the accuracy or completeness of the advertisement or any linked or associated information, and Rightmove has no control over the content. This property advertisement does not constitute property particulars. The information is provided and maintained by W.H Breading & Son, Faversham.